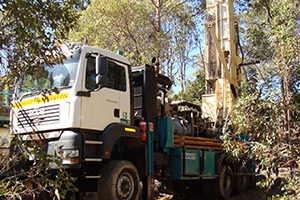 B & T Drilling specialises in the areas of Lower Chittering, Bullsbrook, Bindoon Wannamal, Gidgeganup,Chidlow,Stoneville, Toodyay, Northam, Beverley and surrounding areas. in the hills surrounding Perth and regional areas. 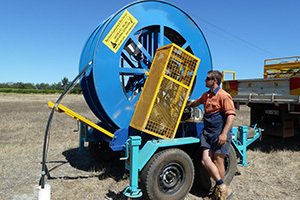 We take great pride in Divining and drilling for water throughout the hills and regional areas of W.A. From the hills off Perth to Sandstone, Meeka shires and the Kimberley cattle stations.We have gained a reputation for Divining and developing many water bores throughout the Perth Hills areas, with a lot of our work received through word of mouth from happy customers. We have a vast Data network of water supply and quality from years of experience and will give honest free advise with regard your area on water quality. This can be invaluable in you making the right decision in drilling a bore. 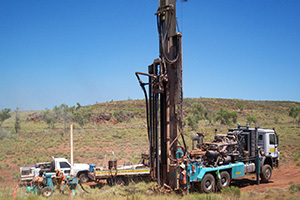 We have worked on many grass root exploration programs over the years from the Iron Ore boom through the Pilbara, drilling ( CID’s,) to the Murchison on Copper /gold deposits around Peak Hill and Degrussa and out back of Laverton. We take pride in maintaining good mechanically maintained and safe working equipment. Good sound safety management and practices ensure all personnel are appropriately trained and competent in their roles and perform to high standards.